Stella Louise Finger, 71, of Salisbury went home to be with the Lord early Friday afternoon on March 22, 2019, in the comforts of her home with loved ones by her side. She was a native of Catawba County, North Carolina. 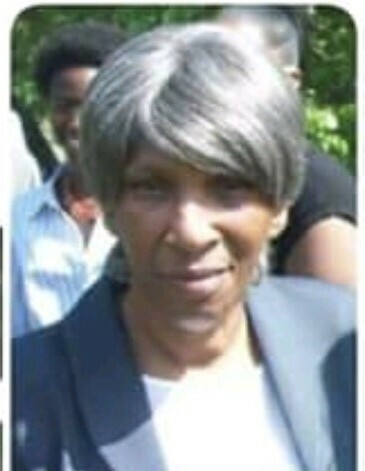 Born on October 23, 1947, a daughter to the late Price Finger and Edna Mae Shuford Finger. She is preceded in death by three brothers; Allen Finger, Buck Finger, John Finger; and five sisters, Teen, Bell, Sis, Peb, and Bonnie. Stella attended Dunbar High School in Salisbury, NC. She was of Baptist faith and loved her Lord Jesus Christ. She worked in the healthcare industry at Hilltop Rest Home as a CNA for more than five months. She spent most her days with friends and family. Those left to cherish her memory are two sons, Marvin and Sharon Finger and their children, Layla, Yolanda, Marvin Jr., Anthony and Casey Finger and their children, Unique, Neasha, and Anthony Jr.; a daughter, Nina and Theo Houston and their family, Celeste, Cali, Takara, Tayren, Endee’ef, Ariel, Jalen, and Juwan Houston all of Salisbury; two sisters, Janie Milller of Asheboro and Dorothy and Terry Cauthen of Salisbury, and aunt Mollen. There will be a Celebration of Life Service held at Mt. Zion Baptist Church, 1920 Shirley Ave. Salisbury, NC on Friday, March 29, 2019 at 11:00 AM with Bishop David Miller officiating. Friends and loved ones may pay their respects thirty minutes prior to the service. Interment will be at Oakwood Cemetery immediately after the service. Terry Wood, Reggie Walker, William Sawyer, Chris Johnson, Maurice Torrence, and Terry Bowman as pall bearers. The family would like to extend a special thanks to Trellis Supportive Care of Salisbury / Hospice, Dorothy Cauthen, Celeste Boyd, Linda Worth, Iman Crawford, Endee’ef & Takara Grant, and Brenda Gaither. Words can’t express how grateful Marvin, Anthony, and I are for all you’ve done for our family. All your thoughts, words, & prayers were encouraging. Thank you for thinking of our family.